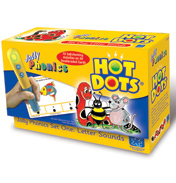 Introducing the Hot Dots interactive games from Learning Resources. 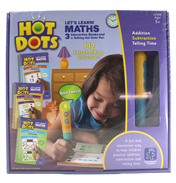 This selection of Hot Dots products are a fantastic way to engage children with primary subjects. 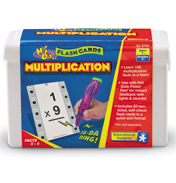 Whether the students are finding particular areas difficult or they are already on the right track these Learning Resources games really will help them progress. 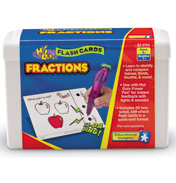 The Hot Dots system uses a special pen, which is used along side a variety of practice cards. 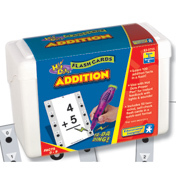 Each card gives the user a question with multiple answers. 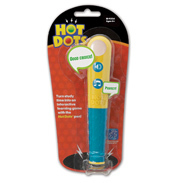 When the correct answer is touched with the Hot Dots pen it will give positive feedback that encourages them to continue with the activity. 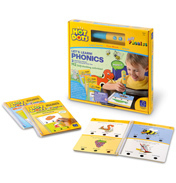 There are a whole variety of different practice cards available including letter sounds, first words, shapes, astronomy, earth & weather and much more! 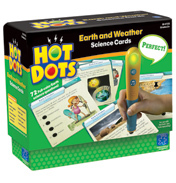 There are also Hot Dots Junior cards too, perfect for children aged 3+. 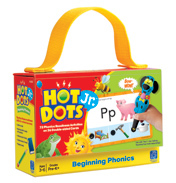 There are several Hot Dot pens to choose from. 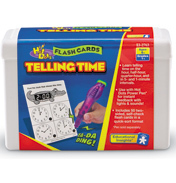 The Original features sound effects, lights and phrases. If your looking for something with a little more character then take a look at the Talking Kat & Ace Pens. Each one has all the same features as the original but are shaped like a cat and dog! 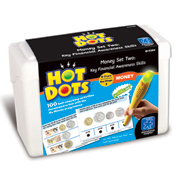 Whether your looking for something to assist with your teaching or helping your own child at home the Learning Resources Hot Dots will be a great help.